A fireplace with a Franklin Stove insert. 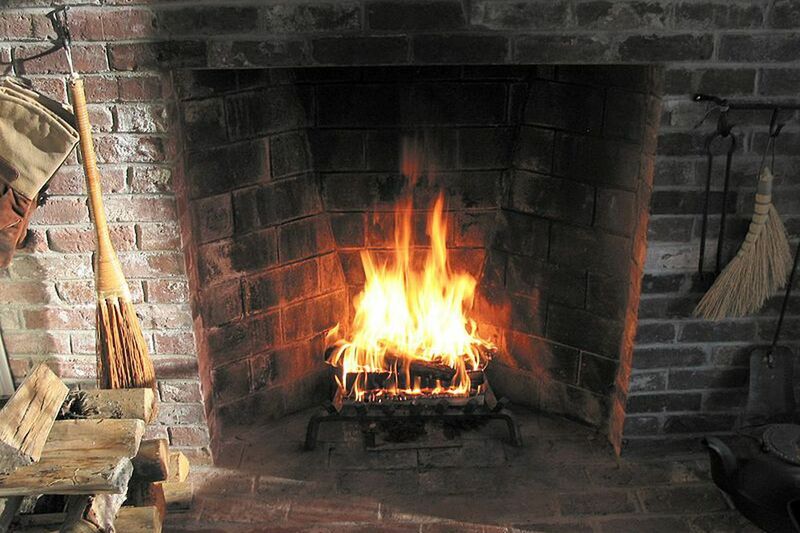 The Rumford fireplace efficiently burned wood while its characteristically shallow firebox reflected as much heat as possible out into the room as possible. The handy design of the Rumford gained a strong following. Thomas Jefferson installed eight of them at his country house Monticello. 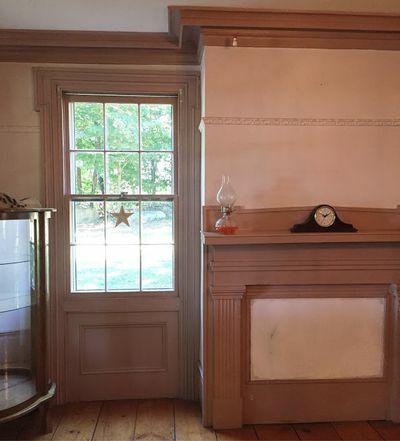 Rumford fireplaces became so mainstream that Henry David Thoreau wrote about them in Walden as a basic quality of the home, alongside copper pipes, plaster walls, and Venetian blinds. By the 1820s and 1830s, Adams explains, coal was quickly becoming a dominating fuel type. Stoves that could burn either wood or coal—the type being pushed was Anthracite, or “hard” coal—became popular. Iron stoves were not new technology. While English settlers brought fireplaces, German settlers had iron stoves that did a good job of heating a space. 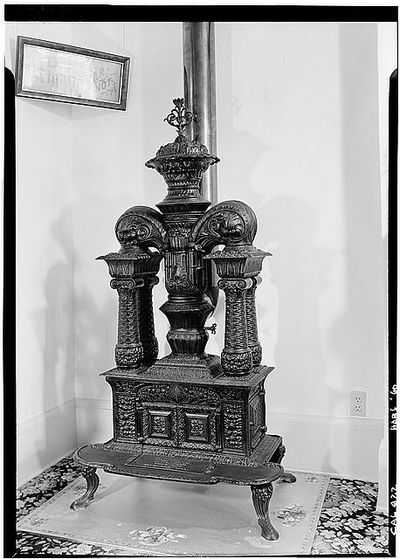 An example of an elaborate iron stove. But what was new was the type of fuel: coal. Adams explains that since coal was so different from the familiar fuel type of wood, it took a little while to gain popularity. To match, coal stoves became highly decorative, featuring intricate ironwork and decorative finials to make them just as desirable as they were utilitarian. Coal became mainstream in post-Civil War America. Wealthier families might have burned coal in basement furnaces—with specific rooms dedicated for coal storage—while poorer families might have used little stoves in individual rooms in their home. The architecture of the home also changed as heating technologies shifted. 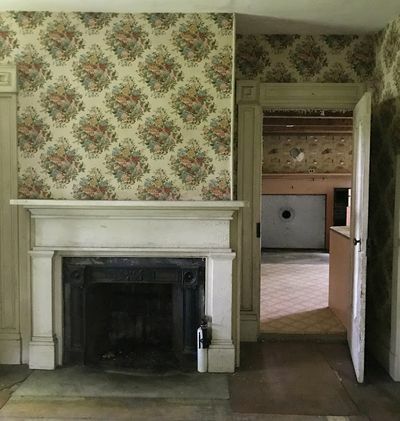 While Colonial houses of the 18th century needed big chimneys to support multiple fireplaces, houses built in the later half of the 19th century only needed ventilation space for stove pipes. That translated into skinnier chimneys. Inside, mantlepieces sometimes remained as a backdrop for the stoves. Even though they were technically no longer needed, they continued to act as a focal point in a room. A mantle that was never designed to surround a fireplace but rather be a backdrop for a coal stove. Also coming into play in the 19th century was steam heating, which first appeared in the 1850s but gained popularity in the 1880s. Adams explains that this is just another form of coal heating, as coal would be used to heat the water that turns into steam. Steam heating was first used in institutional buildings like hospitals but then moved to residences. One of the most elaborate examples of a steam-heating network in the 19th century was at Biltmore Estate, the Vanderbilt-owned mansion in Asheville, North Carolina. “Richard Morris Hunt, the architect of Biltmore, needed to heat roughly 2,300,000 cubic feet of space for the 175,000-square-foot house,” says Denise Kiernan, author of The Last Castle: The Epic Story of Love, Loss, and American Royalty in the Nation’s Largest Home. Kiernan explains that the subbasement of Biltmore, which was completed in 1895, had three boilers capable of holding 20,000 gallons of water each. Those boilers created steam that circulated to radiators in a network of shafts around the house, a system that seems simple in theory but quickly intensifies when one realizes that the network had to heat 250 rooms. 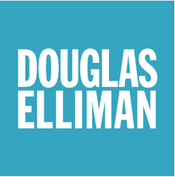 “Of course—this heating system had help from 65 fireplaces, some more utilitarian, others wildly elaborate,” Kiernan adds. 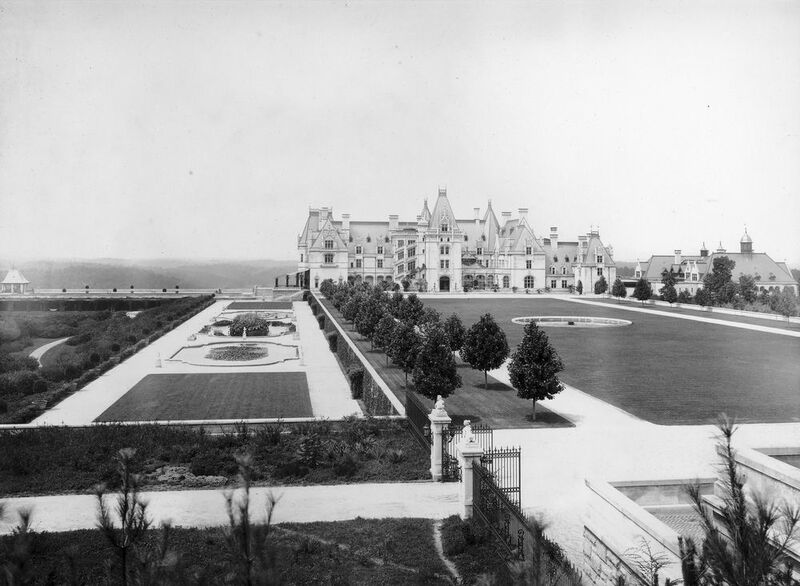 Heating the largest private home in America was no small feat: In The Last Castle, Kiernan reports that 25 tons of coal were burned in two weeks during the winter of 1900. To prepare for the winter of 1904, the Vanderbilts placed a coal order for 500 tons to be shipped and ready. Courtesy of The Biltmore Company. This entry was posted in Bedford Corners NY and tagged Bedford Corners Luxury Homes on December 22, 2017 by Robert Paul.